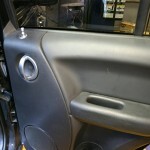 Jeep Liberty rear door panel. 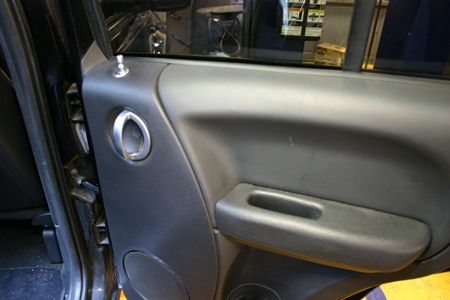 A Jeep Liberty window is falling down into a door at the alarming rate of one every minute! 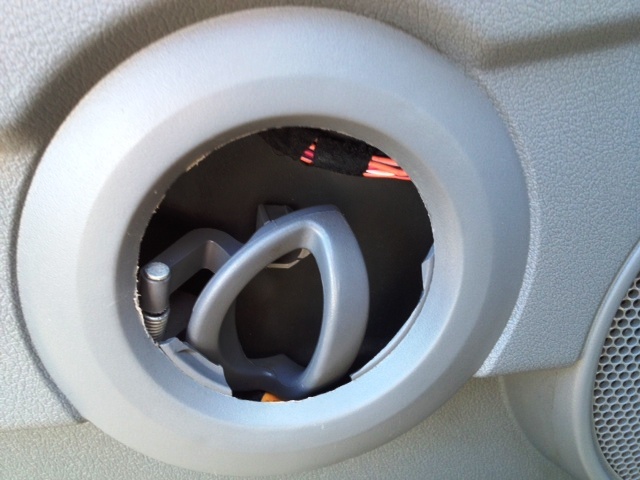 Kidding aside the Jeep Liberty does seem to have problems with a weak design for the window regulator. 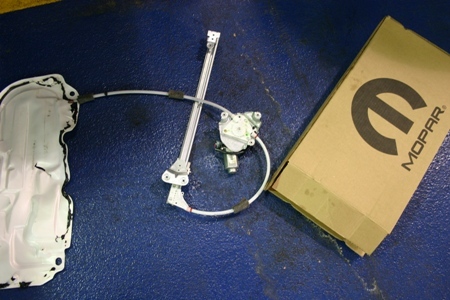 Typically the motor can be heard and the window can be raised by hand and temporarily taped in the up position until a replacement part can be purchased. The good news is that it is a really simple job even for a do it yourself-er (DIY), see the tips below. 1. 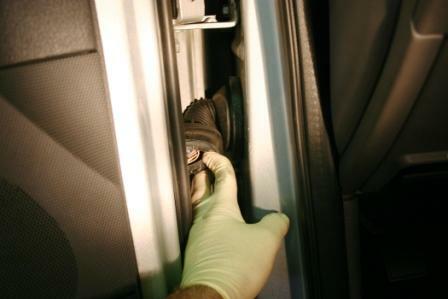 First remove the small trim piece in the interior door handle bezel. And then remove the Philips screw. 2. 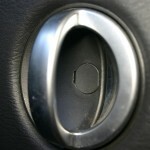 Remove the Philips screw located in the door pull recess as pictured above. 3. Next pull the interior door panel away from the door. 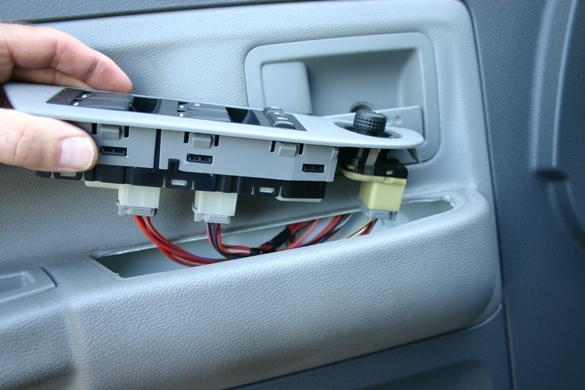 It is held by plastic clips, a trim tool or screwdriver may be used to pry it off, being careful not to damage the panel. 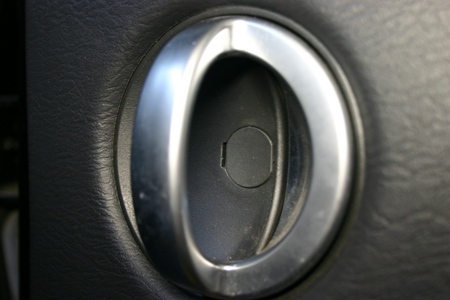 Push the manual door lock button down through the hole in the door panel. 4. 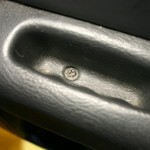 Un-clip the door latch rod on the backside of the door panel and remove it. 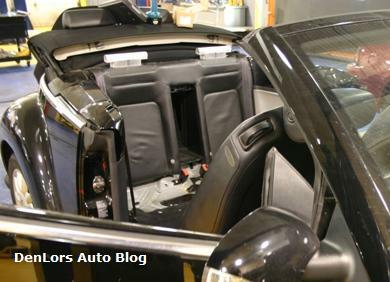 Next remove the door speaker and take the moisture barrier off of the inside of the door. Take note of where the rod goes through the barrier. 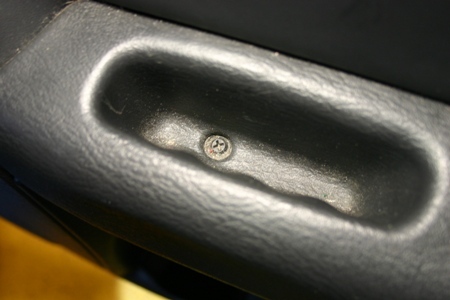 One metal clip will need to be removed that holds the window to the regulator, hook it with a screwdriver or pick and pull to remove it. Secure the window in the UP position to allow removal of the broken regulator. 5. 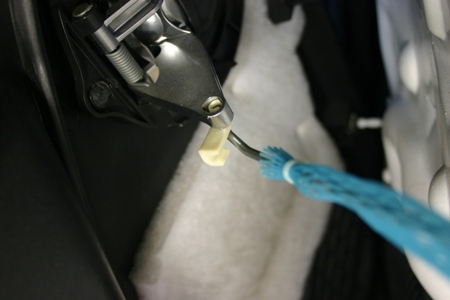 Unplug the window motor by sliding the red retainer, squeezing the connector and pulling it from the motor. 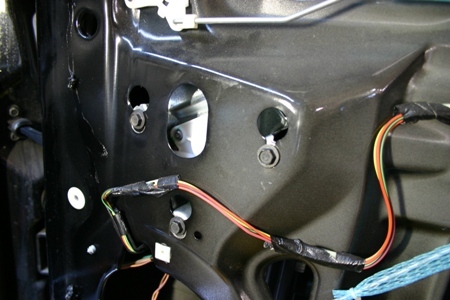 Once the motor is unplugged, remove the six 10mm bolts that hold the window motor and regulator to the door. There will be one plastic retainer on the cable that secures the cable to the door to keep it away from the window when it is in operation. 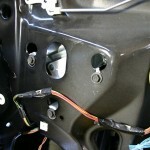 After the cable is loose, the assembly can now be removed through the access hole in the door. If replacing with a factory assembly, the motor should be already mounted to the regulator. Reverse the procedure outlined. When attaching the window to the regulator the clip stays on the regulator and can be secured by positioning the window and squeezing it together. It will pop on easily, now proceed with the re-assembly. I have a 2007 Liberty Sport. I have replaced every window regulator at least once, the front ones twice. 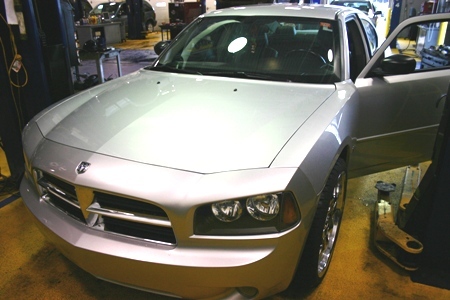 In the past I have purchased replacement regulators from the dealer and had a glass shop install it. This time, for the right rear window regulator I purchased a replacement online and replaced it myself. With the liberty, it has cost me an average of about $120.00 per year for the privilege of having 4 power windows. Very poor design. I own a 2006 liberty made in March, my driver side rear window has fallen down, what is the part I need to order and where is the best place to purchase one? 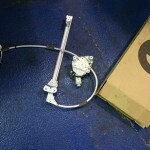 If window is not broken just the window regulator. A parts store should have what you need.